The immobile nature of this street art, makes the few printed editions of Invader’s work all the more valuable. 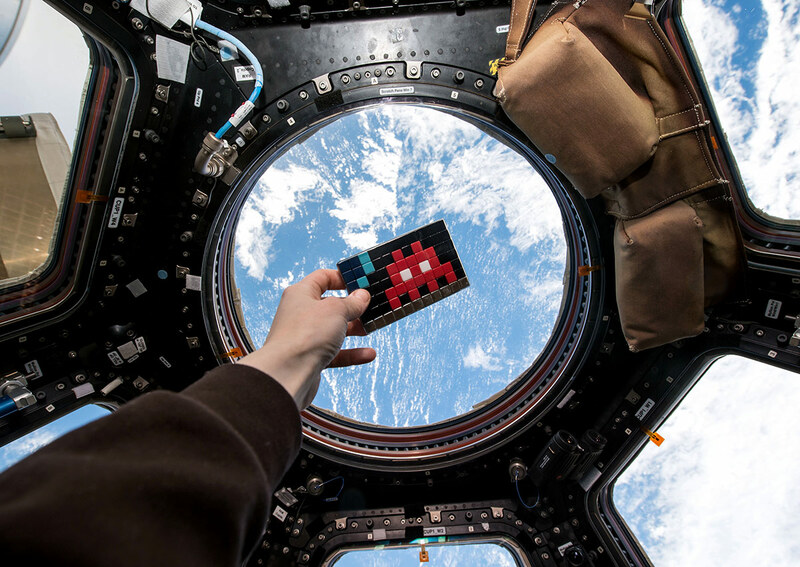 As one of the leading venders of Invader’s work Taglialatella Galleries has built an exceptional collection over the years, culminating in a solo exhibition in May, 2017 titled, Game On. The works currently displayed in our Chelsea gallery represent both the original TAITO video game characters that Invader began with, as well as popularized film images that he imprisons within the blocks of his Rubik’s Cube aesthetic—always blurring the lines between game and reality. 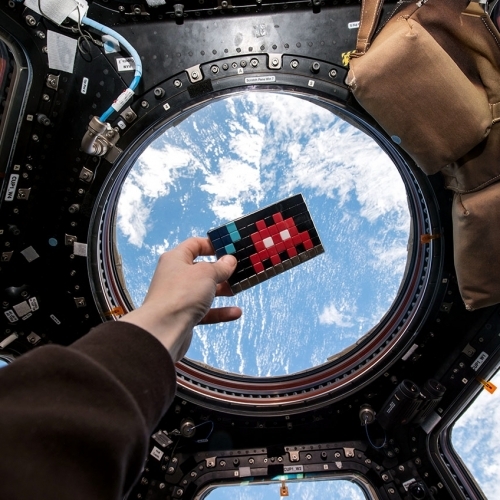 “Space2” Invaded the International Space Station (ISS), aboard the European spaceship ATV-5 in 2014. 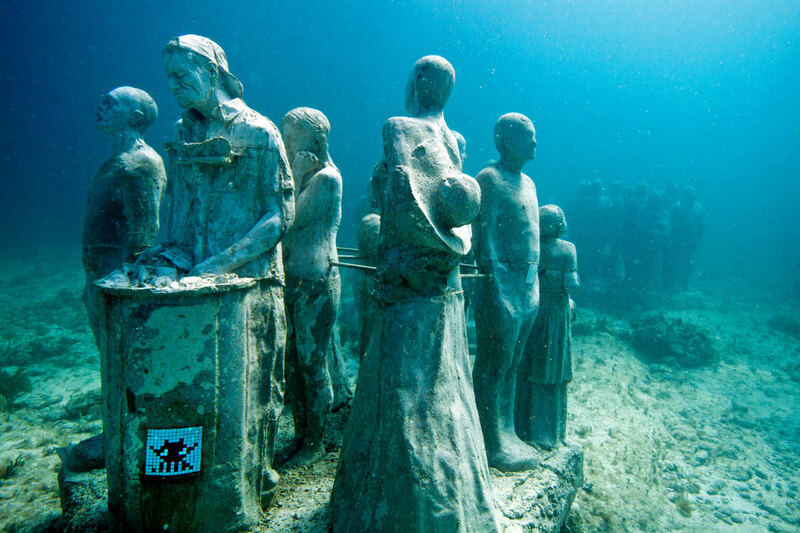 Undersea, off the coast of Cancun Bay, Mexico in 2007. 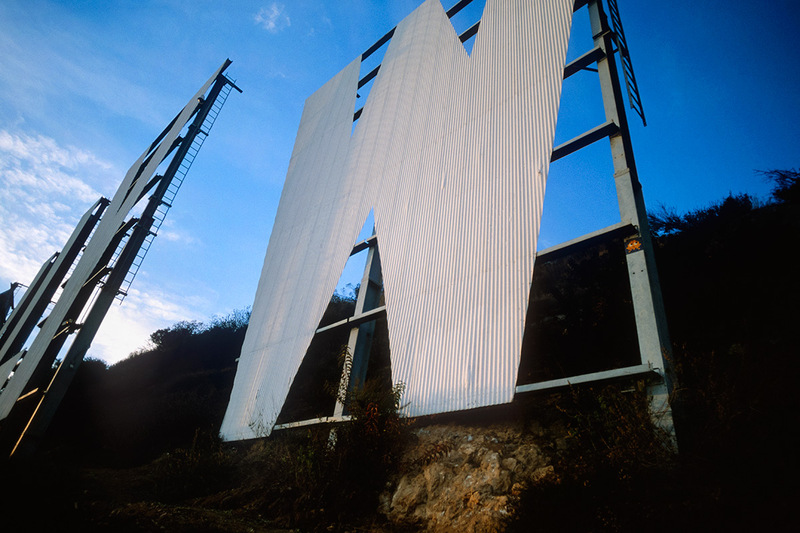 On the Hollywood sign in Los Angeles, California in 1999.